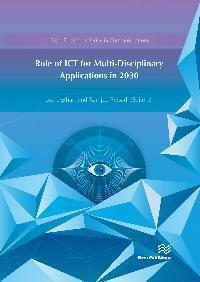 The theme of this book is “Role of ICT for multi-disciplinary applications in 2030”, which is absolutely appropriate to explore with regard to the CONASENSE vision of looking at services utilizing the Communications, Navigation, Sensing and Services (CONASENSE) paradigm in a period of 20-50 years from now. The vision of CONASENSE society is to bring about active integration of the three worlds of communications, navigation and local/remote sensing – that have been apart for years require a multidisciplinary approach. This 4th Communication, Navigation, Sensing and Services (CONASENSE) book brings together in contributions from another society, namely, Global ICT Standardization Forum for India (GISFI). Thus the book provides a rich and interesting coverage of diverse aspects concerning multi-disciplinary applications.